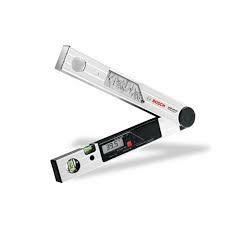 Levels/Lasers | Product categories | Waltco Tools & Equipment, Inc. 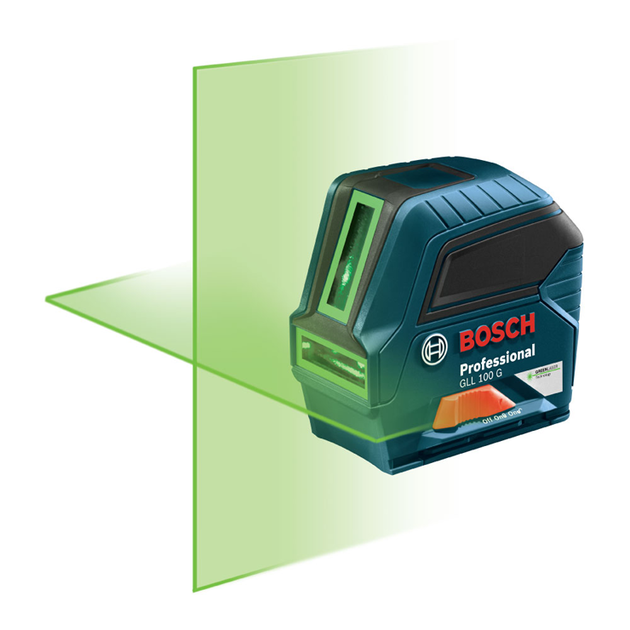 The Bosch GLL 100 G Green-Beam Self-Leveling Cross-Line Laser uses green-beam technology, which generates lines up to 4X brighter than standard red beams. This gives the laser a working range up to 100 Ft. The GLL 100 G produces vertical, horizontal and cross-line modes, and the tool can project two lines independently or together, for a broad array of alignment and leveling applications. It includes Bosch-exclusive VisiMax™ technology, which allows for outstanding line visibility in standard working conditions. It constantly monitors the laser's temperature so the diodes are always driven to maximum line visibility, while protecting the laser diodes from overheating. 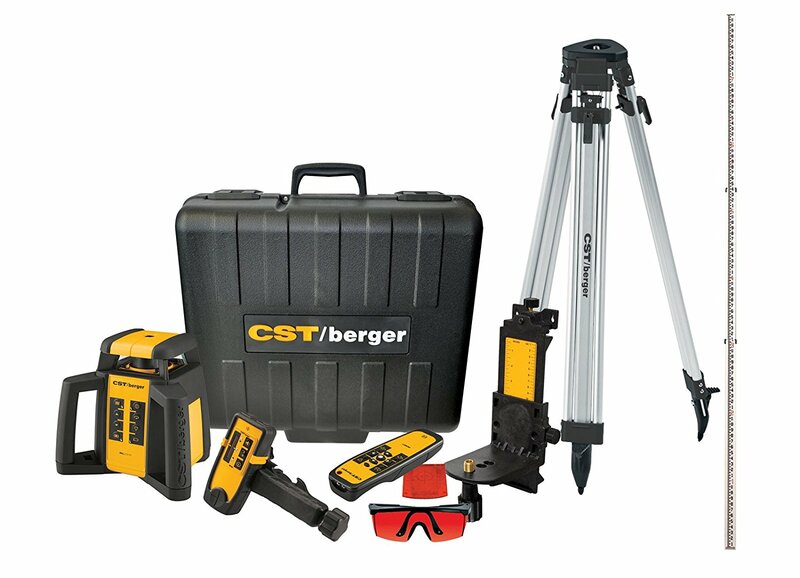 The tool has a working range up to 100 Ft., and it offers an accuracy of ±1/8 In. at 33 Ft. and ±3/8 In. at 100 Ft. The Bosch Smart Pendulum System self-levels and indicates out-of-level condition, to help ensure an accurate layout. It locks the pendulum after the laser is switched off for secure transport. The laser is built with sturdy over-molded construction with an IP54 rating to protect against dust and water. 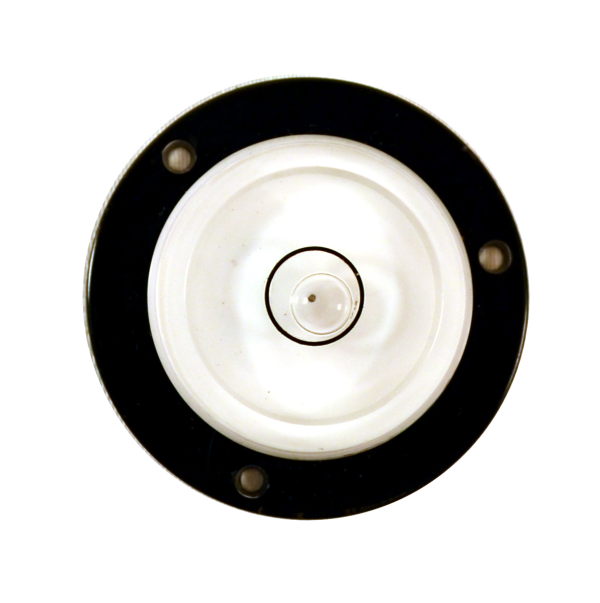 The included BM3 Positioning Device offers quick setup in ceiling grid applications and free-standing mode with its retractable feet and microfine height adjustment. 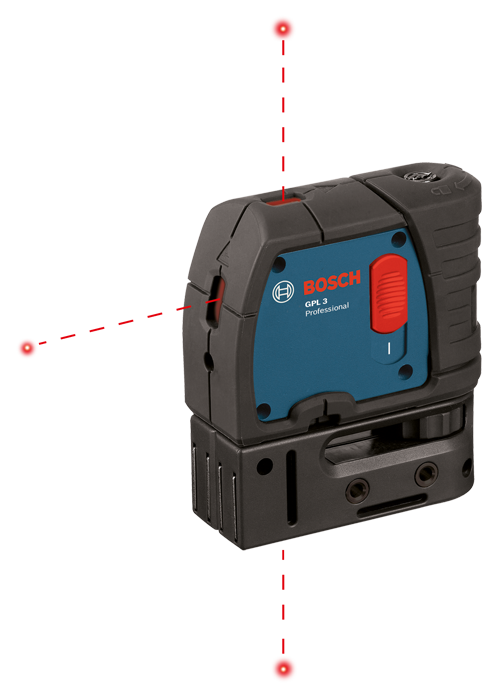 The Bosch GLL3-330C 360° Connected Three-Plane Leveling and Alignment-Line Laser provides an all-in-one level and alignment solution for one-person job setup. The leveling laser generates three laser chalk lines in 360° laser planes – one horizontal and two vertical. With Bluetooth® connectivity, users can control the setup of the laser from across the room with their smart phone and the free Bosch Leveling Remote App. 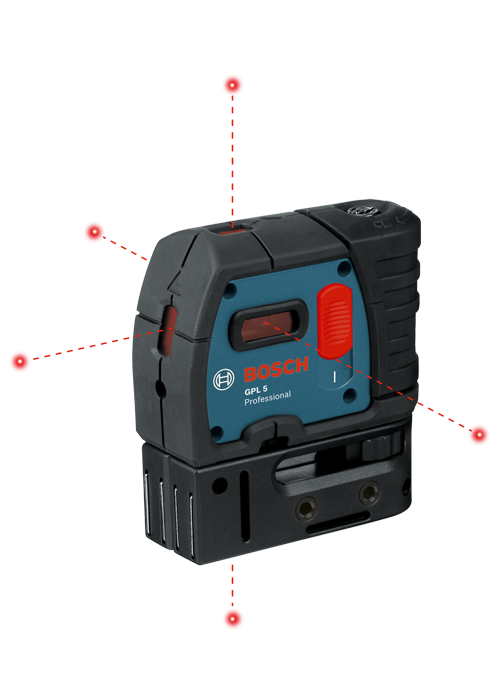 The laser offers dual power technology, employed the included Bosch 12V Max Lithium-ion battery for extended runtime, or with four AA alkaline batteries. The layout laser has a working range of up to 200 Ft. diameter, and with pulse mode the range extends up to 330 Ft. (diameter) with the optional LR 6 or LR8 receiver. This laser features VisiMax™ Technology to drive maximum line visibility, CAL Guard for calibration assurance and robust over-molded construction to withstand rainy or dusty jobsite conditions. 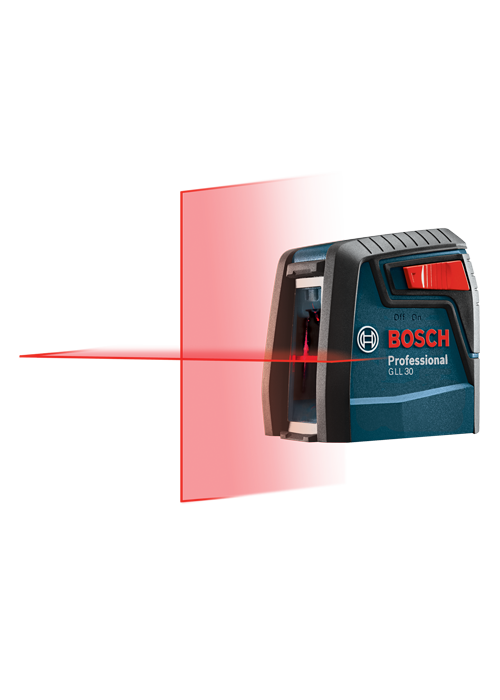 The Bosch GLL3-330CG 360° Connected Green-Beam Three-Plane Leveling and Alignment-Line Laser provides an all-in-one level and alignment solution for one-person job setup. The leveling laser generates three green-beam laser chalk lines in 360° laser planes – one horizontal and two vertical. 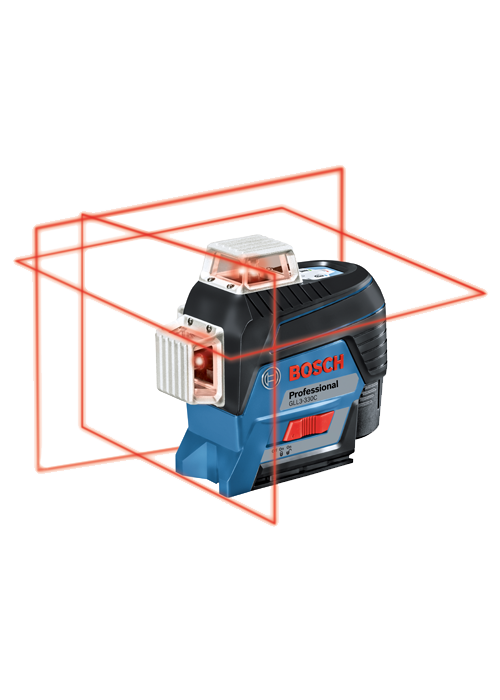 With Bluetooth® connectivity, users can control the setup of the laser from across the room with their smart phone and the free Bosch Leveling Remote App. The laser offers dual power technology, employed the included Bosch 12V Max Lithium-ion battery for extended runtime, or with four AA alkaline batteries. 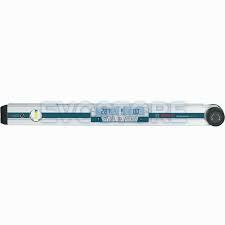 The laser has a working range of up to 200 Ft. diameter, and with pulse mode the range extends up to 330 Ft. (diameter) with the optional LR8 receiver. This laser features VisiMax™ Technology to drive maximum line visibility, CAL Guard for calibration assurance and robust over-molded construction to withstand rainy or dusty jobsite conditions. 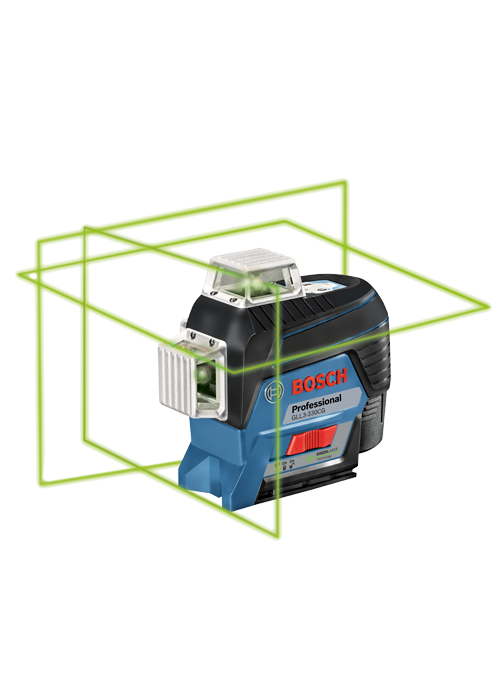 The Bosch GLL 30 Self-Leveling Cross-Line Laser projects two lines, making a cross-line projection, for a wide array of level and align uses. This versatility makes it more valuable than a typical line laser. With top-notch accuracy and one-switch operation, the user's leveling and alignment tasks are done quickly and correctly. The laser lines are visible up to 30 Ft. The Smart Pendulum System self-levels and indicates out-of-level condition to help ensure an accurate layout, and it locks the lines at any angle. The pendulum system locks when switched off, to assure secure tool transport. The included MM 2 Flexible Mounting Device provides microfine height adjustment, and it allows the laser to be clamped on virtually any surface from 1/2 In. to 2-1/4 In. thick, for level lines at any height. Three-point plumb and level point projection laser accurately transfers and aligns plumb up/down, front level and align points; accuracy is +/- 1/4 In. at 100 ft. There's no waiting for a standard plumb bob to stop moving thanks to a quick-settling pendulum. Smart Pendulum System self-levels, indicates out-of-level condition and locks when switched off. Compact design allows the unit to go anywhere and can be used in almost any interior application. Multi-purpose attachment positions the mount with magnets, strap or threaded mounts (5/8" to 11, 1/4" to 20). Five-point level with points up/down, front and sides for plumb, level, align and 90° square; accuracy is +/- 1/4 In. at 100 Ft. Eliminates the need for 3-4-5 In. measurements in laying out a 90° angle. Smart Pendulum System self-levels, indicates out-of-level condition and locks when switched off. Compact design allows the unit to go anywhere and can be used in almost any interior application. Multi-purpose attachment positions the mount with magnets, strap or threaded mounts (5/8 In. to 11, 1/4 In. to 20). 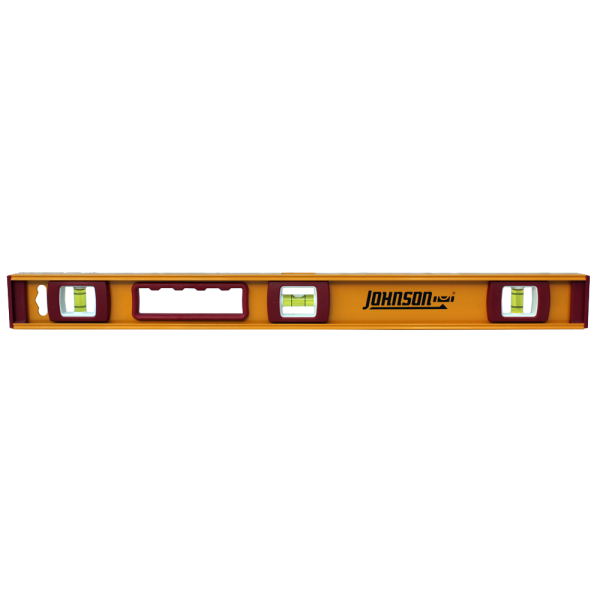 The quick and easy solution to your leveling problem, Johnson's Bull's-Eye™ level is compact, easy to transport and levels in all directions. It features a durable acrylic body and mounting holes for attaching to your work surface. A level is only useful if you can read the vials. This level comes equipped with oversized 1/2" field-replaceable vials. Not only are the vials themselves easy to read, but the level has more vials than competitive models in 48" and longer lengths, meaning the vials are always within eyeshot, even at awkward angles. Finally, Johnson's SurroundView® technology maximizes visibility and top read windows allow the user to stand over the work to view the vials.